The Truth About Our "Competitors"
BEWARE OF ANY WEBSITE THAT DOES NOT TELL YOU WHO STANDS BEHIND IT! On any website, look for an ABOUT US page. If none exists, or a short statement leaves you with no clue as to who is standing behind the product(s), be very wary and leave the site immediately! Those who purport to offer discounts on Hawaii golf and golf packages and DO NOT tell you anything about themselves are hiding something and attempting to protect themselves from dissatisfied consumers. Conversely, please visit and read our ABOUT US. Since 1994, we stand behind—and in front of—what we sell. Here on HawaiiGolfDeals.com, you can reach us via online CONTACT US options, as well as via toll-free numbers to call or send faxes. We have names, let you know something about each of us, and are proud to be here to serve you for more than two decades. BEWARE OF TEE TIME SERVICES! Tee time services are completely unnecessary and a totally unwarranted expense in Hawaii. Hawaii’s golf courses have plenty of available tee times and charge you nothing to make one. Do not waste your time and money on a tee time service! When you subscribe to HawaiiGolfDeals, in addition to your personalized GOLFHAWAIICARD, you will receive a Rate Card that contains the phone numbers (toll-free whenever available) for every golf course in our program. From 90 days prior to the day you intend to play, you may make a tee time best suited for you and your party. 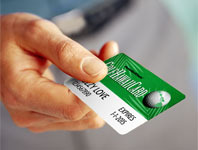 Since our inception in 1994, we have NEVER had a cardholder who could not get a satisfactory tee time. NOT ONCE have we even had a complaint. BEWARE OF ANY COMPANY THAT USES OUR NAME—”HAWAII GOLF DEALS”— IN THEIR AD LEADS! The tactic of trying to confuse the consumer is one of the big problems with Internet marketing. And it is becoming more and more of a problem. We have taken legal action to protect our name and your ability to discern between the rogues & thieves, and a quality company with a long and honorable track record like HawaiiGolfDeals. If you see our name in their ad lead, stay away and help put a crook out of business. Lets face it, if you steal someone’s good name and long-standing reputation — you’re a crook. BEWARE OF THOSE SAYING THEY HAVE A HAWAII GOLF CARD! The exclusive HawaiiGolfDeals GolfHawaiiCard is your ticket to unbeatable Hawaii golf discounts and unlimited Hawaii golf. 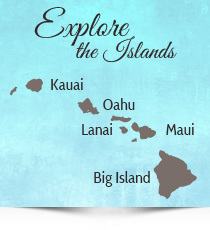 There is no other Hawaii-exclusive golf card. Pretenders will tell you they have a card program though none exists and never delivers rounds of golf to Hawaii’s courses. Don’t take the bait and end up overpaying for golf via their various schemes and scams or show up to no reaction at the pro shop counter. DON’T BUY HAWAII GOLF FROM VENDORS WHO SELL GOLF EVERYWHERE! Lets face it, if you sell golf everywhere, you cannot be an expert anywhere. Buying from companies who sell golf rounds nationally or internationally will rarely get you the best deal and will never deliver the best advice. How can they? Some operator is sitting in the middle of wherever the cheapest labor pool is and trying to direct you from a screen of notes. HawaiiGolfDeals sells only Hawaii and we have been the biggest deliver of visitor golfers and groups since 1994. BEWARE OF HIGHER PRICES AND NO ADDED-VALUES! No other company can beat HawaiiGolfDeals. Period. But the Internet scam artists try to make you believe they have the better deals. Frankly, they are NOT EVEN CLOSE! Do they offer better prices, unlimited golf and 90-day tee times? No way! Do they offer range balls and pro shop discounts at most locations? Not a chance! BEWARE OF THE BAIT & SWITCH INTO HIGH-PRICED VOUCHERS! The Internet scam artists grab innocent victims by promoting one thing and immediately try to switch you to another. Classic bait and switch! HawaiiGolfDeals appalls the bait and switch. We don’t offer every course in Hawaii. We are only interested in REAL VALUE and unlimited golf. If we do not carry a course, we do not feel it is a value for our cardholders OR the maintenance standards are below what we feel is acceptable. In other words, we won’t take just any course in our exclusive program. That’s why we have tens of thousands of repeat subscribers since 1994. BEWARE OF THE TOKEN DISCOUNT! “Pretenders” are big on the token discount. If you’re looking for $15-$20 off a “rack” rate of $210 for a round of golf, or $10 off a $135 rack—pretenders may have it. In fact, they promote it like it’s their own heavily negotiated deal. But truth be told, that same token discount is generally available through your lodging property, or by telling the pro shop where you are staying, or even just by asking. Some courses, not included in our program, will even give you a standard (“token”) discount just by showing your GOLFHAWAIICARD. It never hurts to ask. BEWARE OF AERATION RATES MASQUERADING AS VALUE RATES! The pretenders are the king of the hill when it comes to misleading consumers. They even use special rates they are given for the 2-3 weeks following aeration of the greens to sell at low prices. However, they often leave out the fact that these are aeration rates. Don’t fall for it and don’t say we didn’t warn you! In fact, if they beat us anywhere, it has to be an aeration rate they are failing to disclose. You will also be asked to pay for taxes at the point of sale that were not disclosed earlier. Nobody beats HawaiiGolfDeals. Period. Let’s face it… Putting a Hawaii golf adventure together takes some help and expertise. So, why trust your Hawaii golf vacation to a company who purports to sell golf everywhere and anywhere? Why trust a website that never displays the name of a real live person? And why trust anyone who steals the good name and reputation of others? Mahalo for listening and please be wary of unscrupulous online operators.